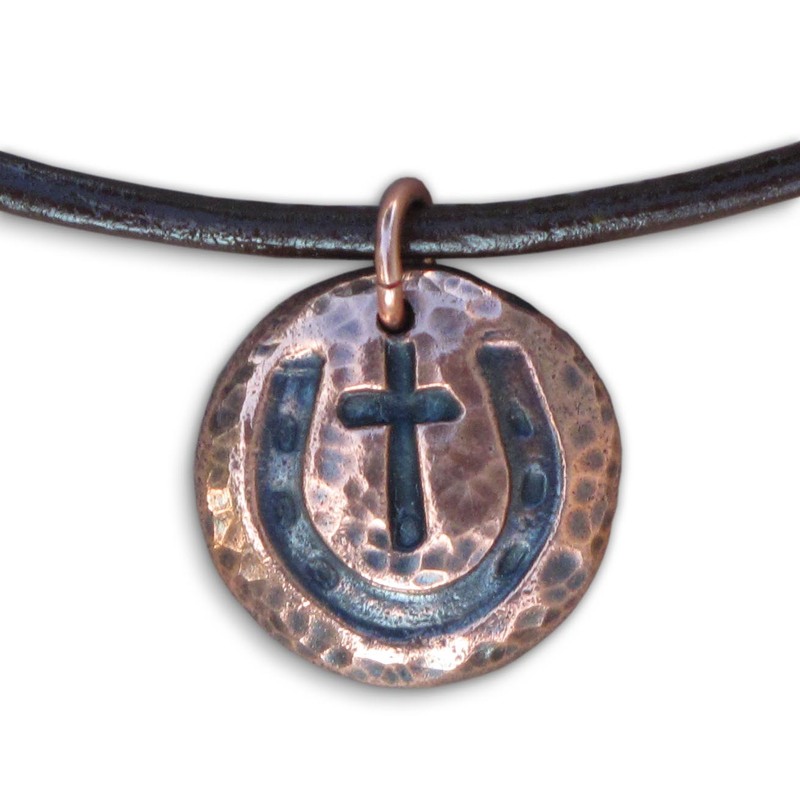 Sweet little copper button is hand made (in the USA) with embossed horseshoe. It measures about 5/8" wide and is stamped on the back with the artist's mark. Hangs on an 18" brown leather cord that has a copper hook clasp.